I’ve been competing in airsoft most weekends out of the year for quite some time now, and I didn’t start enjoying the experience until I picked up a quality mask to wear out of the house. It’s easy to find an option that’s going to fit your head and look cool, and who doesn’t want to look cool? But it also has to offer protection against those little plastic balls of death, and it shouldn’t fog up too much either or you’ll be shooting your own teammates, and that stuff will get you sent home early. The mask I’m using now is sturdy, it looks cool and I’m able to keep shooting throughout a match without dealing with a terrible haze of fog. 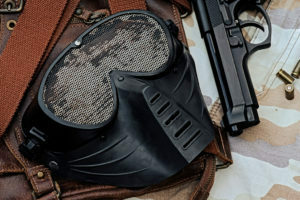 It’s one of the best airsoft masks you’ll come across and there are quite a few like it. If you’d like the same thing you probably won’t mind taking a short glance at the masks I’ve come to love over my years of play.